The beachfront town of Pacific City isn’t all that cute. Yet. And that is precisely its appeal. 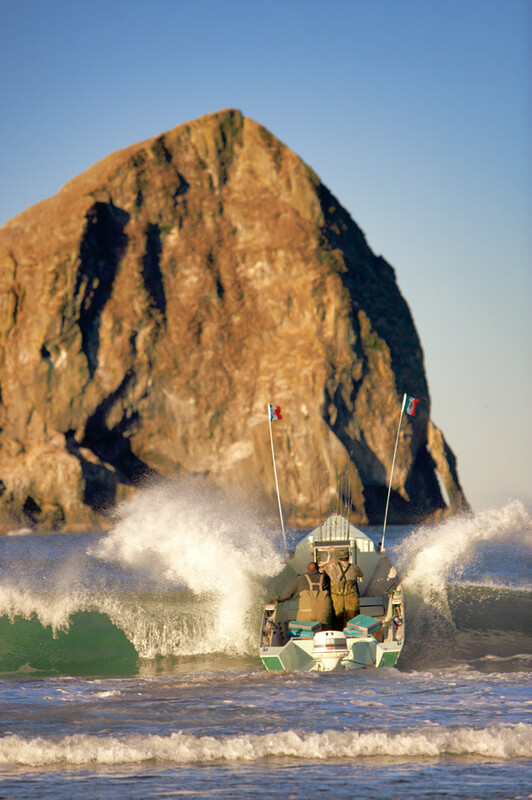 To reach fishing grounds beyond Haystack Rock, Pacific City dorymen break through the surf. The Doryman’s face was leathery, toughened from days spent laying crab pots and fishing for salmon and flounder and cod. He punctuated his conversation with expletives and was missing a couple teeth. But the two ladies from St Louis, their hair curled and coiffed, seemed to find him amusing; after all, here was a real-live Oregon fisherman, an honest-to-goodness salty dog. The beach parking lot hosts 1970s VW vans loaded with quivers of boards. The four of us were standing near the water’s edge on the south side of Cape Kiwanda, where an acclivitous dune juts into the air and forces the beach to an abrupt end. Since the 1940s, this natural cul-de-sac, protected by the cape, has been the launch site of the Pacific City dorymen, a fleet of hardy Oregon anglers who nimbly break through the surf in small, flat-bottomed skiffs—many of them built by local craftsmen—to reach the calmer waters and fishing sites farther out at sea. When the dorymen return with the catch of the day, they crest the waves at full throttle and at the last possible moment raise their outboard motors, allowing the momentum to send their boats skidding up the beach. It’s thrilling to watch, especially in this setting, with the twisting yellow and orange rock of Cape Kiwanda forming a dramatic and quintessentially Oregon backdrop. As it turns out, Cape Kiwanda is also a perfect spot to watch a coastal town in transition, for just behind the trucks and dory trailers parked on the beach stands a neat wall of 18 yet-to-be-finished condos, surrounded by yellow bulldozers and heavy equipment. 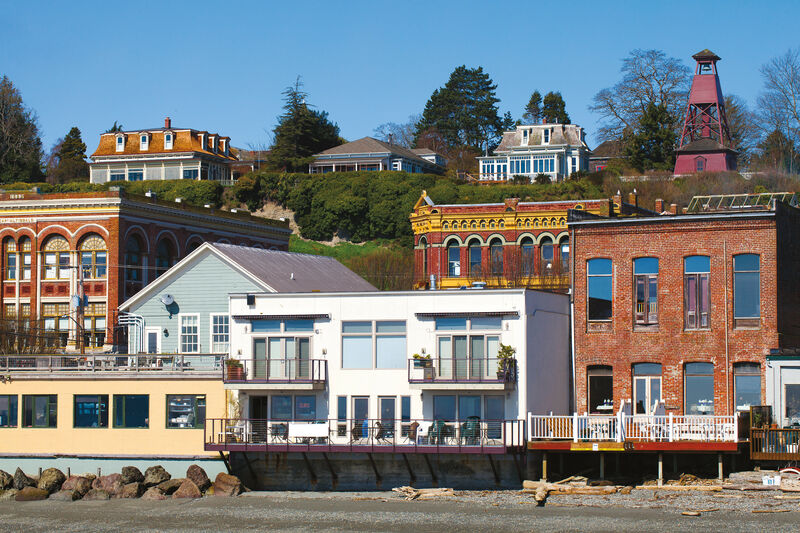 Jumping on the fractional ownership trend—an arrangement similar to time shares, except that buyers also own a portion of the property deed—the developer of the condos, who also owns the Inn at Cape Kiwanda and the Pelican Pub & Brewery nearby, is selling off shares piecemeal. Starting price per share: $79,900. To the doryman, such construction was an indicator of more “boo-frou” things to come. 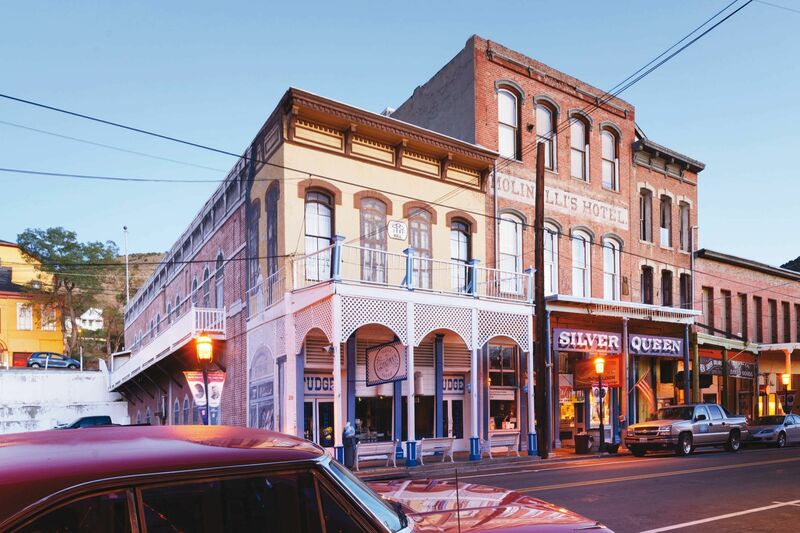 To the tourists from St Louis, it was a sign of a town coming into its own; as such, they were eager to buy into it. 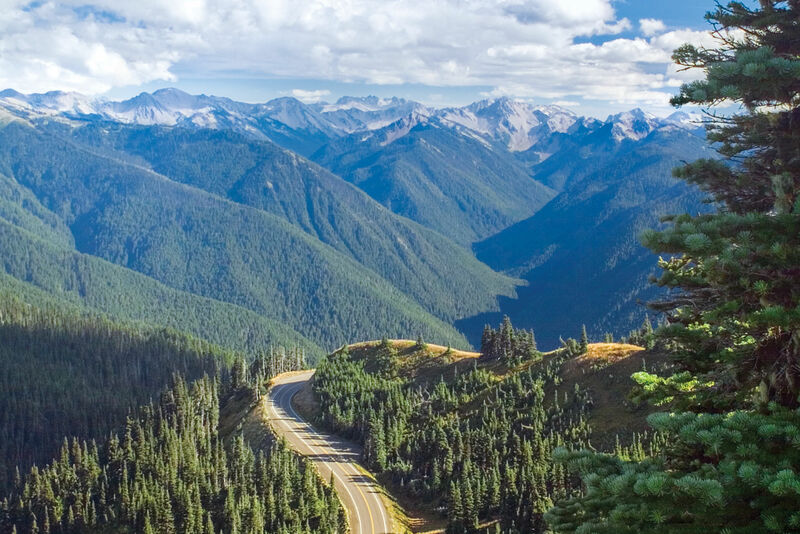 and you will find scores of new wood-shingled vacation homes and numerous signs advertising more to come—evidence that additional businesses designed to attract tourists and their tourist dollars may not be far behind. The Pelican Pub’s alfresco dining area. 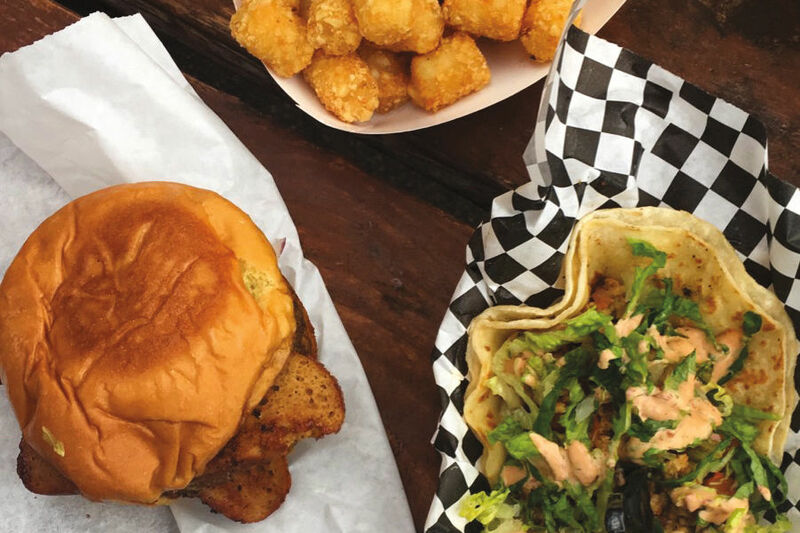 Until then, however, Pacific City remains the kind of Oregon coastal town that provides travelers with just enough for comfort. Those who can’t live without a proper omelette-and-potatoes breakfast, for example, pack the dining room of the Grateful Bread Bakery, where a smiling waitstaff in tie-dyed T-shirts serves up plates of eggs to a steady stream of morning diners. 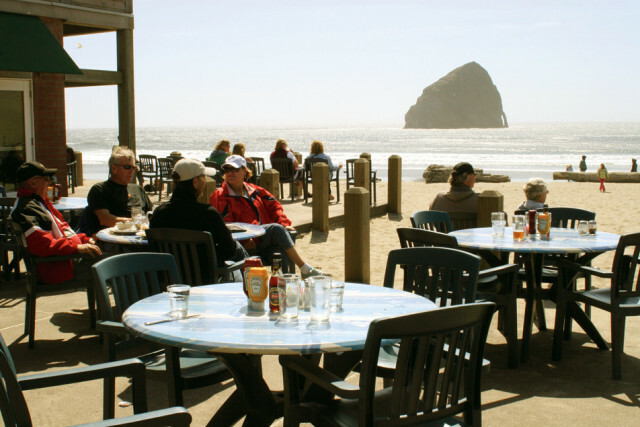 The Pelican Pub, with its award-winning microbrews (including Tsunami Stout and Doryman’s Dark Ale), offers pub fare in a dining room with unadulterated views of Haystack Rock (similar in shape and size to Cannon Beach’s Haystack Rock, it’s often referred to as the other Haystack Rock). What Pacific City has in spades, though, and what makes this working town a worthy weekend destination, is natural beauty. Straddling the confluence of the Big Nestucca and Little Nestucca Rivers, the town also fronts eight uninterrupted miles of wind-whipped beach that stretch between Big Nestucca’s mouth and Cape Kiwanda. Should the ocean become too surly, pluckier travelers can rent a kayak from the unassuming Pacific City Sporting Goods & Marina and paddle all the way to the place where the Big Nestucca meets the sea—or pull off into the estuaries near the rivers’ confluence for great birding and leisurely touring. The emptiness of Bob Straub State Park stretches all the way to the river mouth. On both mornings during my weekend visit, I rose at 7 a.m. and slogged to the top of Cape Kiwanda’s towering hill of a dune, where I plopped down in the sand and watched the ocean surging and crashing in the cape’s caves below. Only one beach-user group bested my early morning wake-up call: surfers. Just as the cape protects the dory fleet from too much pummeling, it also creates a calmer ocean surface over which orderly sets of rollers peel into shore. That makes Pacific City one of the best spots for the sport on the coast; the beach parking lot regularly hosts 1970s-era VW vans with pop tops and quivers of boards. For wave enthusiasts, this is an ideal place to set up camp. If even that seems too much of a scene, however, if you’re looking for a place to truly get away, there are always the dunes and the emptiness of Bob Straub State Park, named after the former governor who, while a state treasurer, successfully fought a plan to route U.S. 101 closer to the ocean. If the plan had succeeded, it would have plowed the highway straight through Pacific City itself. His act of preservation largely explains why this small coastal hamlet, for the most part, remains just that, a fact worth contemplating while walking the park’s five or so miles of beach or, even better, while watching the dory fleet’s return. Depending on the season, the haul and the willingness of the captain, you might even be able to buy a whole fish direct from the dorymen themselves and then cook that fresh Pacific bounty over the coals of a beachfront campfire, an utterly froufrou-free way to celebrate the end of an easy day in a coastal town that, despite a few flourishes, remains true to its hardworking core.